I’m sending this to a sister-in-law who I think might be interested in trying the Paleo diet. Thanks! 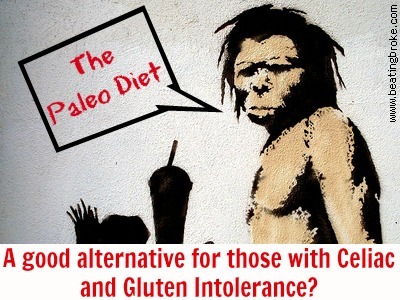 Autoimmune paleo diet is a better option than the standard gluten free diet. The reason for that is that GF eliminates gluten but does not address the poor status of the intestinal barrier that allowes gluten to cross to the bloodstream. Omega 6 oils, grains, dairy, alcohol, coffee that are not excluded on standard GF diet cause the intestinal permeability to increase so celiacs are bound to lifelong exclusion of gluten and all other foods they are react to. Autoimmune paleo diet consisting of good quality meat (and organ meat) and vegetables (not nightshades) has the potential to heal leaky gut so that food allergies diminish. For me, the jury is still out on the Paleo diet. I know it’s all the rage, and it does make sense, but I wonder if it will be a short-lived fad like so many other diets before it…and you nailed it – very expensive groceries, especially when buying only grass-fed beef and lamb. Very yummy for sure! Thanks for the article!